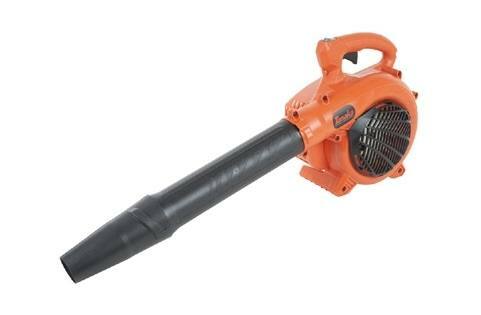 The Tanaka handheld blower is one of the lightest (only 8.6 lbs) and most powerful (at 441 CFM) blowers in its class. It features a purge primer for quick and simple starts, a low emission PureFire® II engine and large throttle lever for easy operation. The exceptional balance and light weight make it ideal for small clean up, while it has the power to handle larger yard work. Dimensions (WxH): 8-5.64" x 13-25/64"